When I was a child, my mom would take ripe plantains, slice them, coat them in brown sugar and pan fry them until cooked through and all the natural sugars would come out to caramelize with the brown sugar. Now as a mom myself, I've done the same for Joel and he loves them. For our 'Havana Nights' party, I skipped the brown sugar coating and pan fried, allowing for the natural sweetness to shine through. You can find plantains at most supermarkets these days, but I would recommend going to a Latin market if possible. They will not only have plantains available at various stages but most likely will be at a better price and quality. When shopping for plantains, you'll probably notice a few kinds - those whose skin that are green, yellow, or even black. Plantains are used in various dishes depending on the color of their skin. Green skinned plantains are typically unripe or young, resulting in a much more starchier dish. These are often used to make tostones, which are plantains that are twice cooked. Yellow skinned plantains are ripe, that don't have as much starch content and are sweeter than green plantains. These are often used in stews or salads because they can hold its shape in cooking. Lastly, black skinned plantains are overripe and are the sweetest of them all. Very similar to regular everyday bananas, these black skinned plantains are often used in sweet applications. 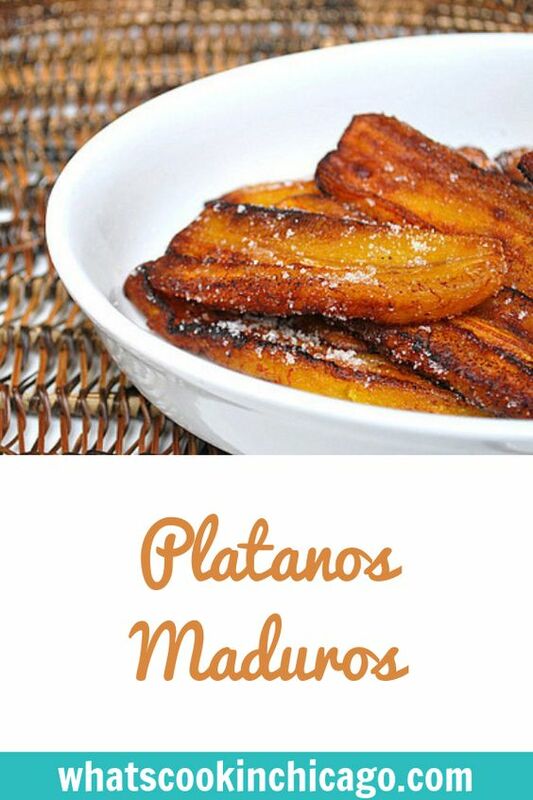 For these Platanos Maduros, I would recommend using black skinned plantains so they are nice and sweet. If you have trouble finding black skinned plantains, you can help with the ripening process by placing green or yellow skinned plantains in a paper bag with an apple. The natural ethylene gas apples give off will help the plantains (and other fruit) ripen faster. Heat enough oil in a skillet so that the oil is about ¼ of an inch deep. Peel the black skin from the plantain and slice it diagonally into rounds that are about ½ inch thick. 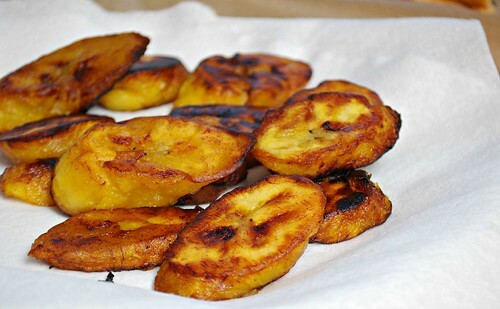 Add the plantain slices and cook until the bottom is golden brown. Turn over each slice and cook until both sides are evenly golden, with a hint of caramelization on the edges. Remove from oil and transfer to paper towels to drain; pat off any excess oil. Serve hot. Those look yummy. I like cooked plantains. These have been on my list to make and I just haven't gotten around to it, this is making me want them more! Yum! I am with Joel on loving the bananas. 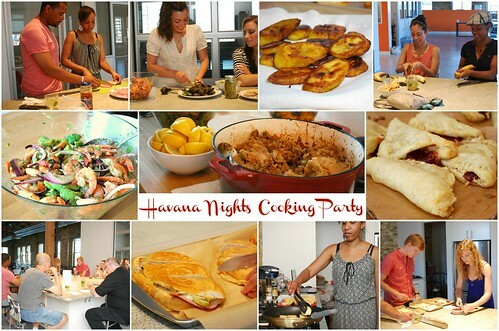 I think I have loved everything from your Havana Nights party, maybe I should have one of my own! I LOVE Plantanos!! My Sister-in-law is from Ecuador. so she introduced them to me years ago. And now i can't get enough of them. Thank you for posting this! I love platanos. Oh I love Plaintains! So yummy! Hi, yes this piece of writing is really good and I have learned lot of things from it regarding blogging. My guy loves bananas, but isn't as fond of plantains. I've never heard of Platanos Maduros! They sound amazing! This looks delicious and very simple to make! Thanks for posting, we'll try to cook this!